It’s September! To some people that means back to school, cooler temps, and that autumn is just about to fall. In our house? It means it’s time for football. In the south (where I’m from), football is its own season and that means a weekly tradition of food, family, fun…and more food. There are so many great Football Party Food Ideas to cook and make for the big game whether you are watching from home or tailgating at the event. Football brownies, sweet and sassy buffalo wings, queso dip, bacon bites, potato salad, football pizza, guacamole, ranch burgers and tater skins are some of these great football party food ideas that we have found that are perfect for game day. 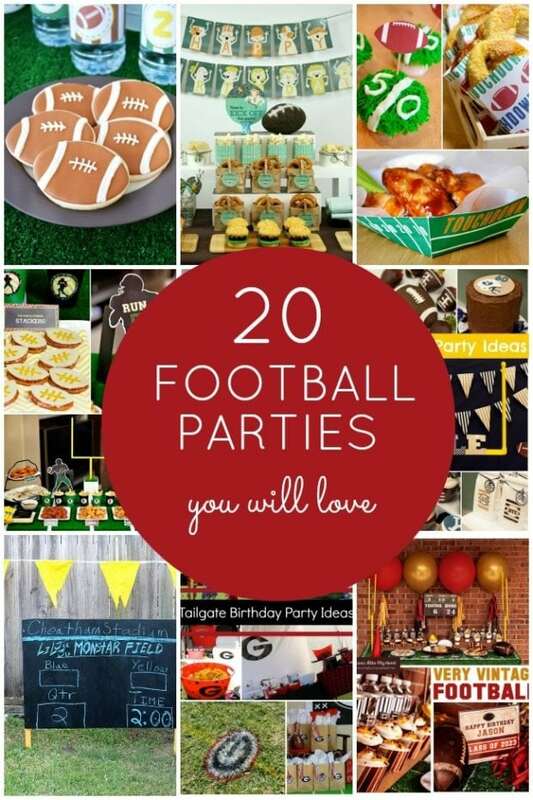 Don’t miss these Football Birthday Party Ideas! A perfect dip for any party, not just football parties. This warm cheesy dip is just a little spicy, but everyone is sure to love it! You could even make this ahead of time and just heat it up when you need to for easy prep! This festive and fun brownie will be a great addition to your football food table! These are simple to create as well—just take your favorite brownie recipe and cut the shapes out with a cookie cutter. You’ll have perfect footballs on your table in no time. Chicken wings are almost a necessity for any game day snack. These aren’t just your average buffalo wing though, they are a great combination of sweet and spicy. These wings definitely won’t last long on the table. Rice Krispie treats are a perfect treat for game day! Since they’re easy to shape, you can create your own mini-footballs with this recipe. The unique coffee and chocolate flavor will be a fun twist on this traditional treat. Who says steak can’t be a finger food? Your guests are guaranteed to enjoy this snack. Steak and bacon come together for the perfect football food. Be sure to make plenty as they’ll disappear in no time! Buffalo chicken dip is not something to skip over for game day. Everyone will be a fan of this cheesy and spicy dip. Serve with chips, bread, or vegetables for a variety of flavors. Game day food is made easy with this slow cooker recipe. What’s easier than simply leaving something to cook all day with little supervision? Nothing! These chicken drumettes will not only be delicious, but will make your game day prep so much easier. While it may not be a finger food, this potato salad should still be added to your game day food roster. With a great combination of peppers, onions, and potatoes, this Italian potato salad is sure to be a crowd-pleaser. Try it out for your next game day! Ice cream and brownies go together perfectly, so why not make them into a cake? This football ice cream brownie cake is a fun dessert to make and it’s easy too. Decorate it with a football or maybe even in your favorite team’s colors. Pizza is a traditional game day food, but these pizza pockets put a twist on that! These handheld pizza pockets are less messy and perfect finger food. Simply put your favorite toppings inside and shape them like a football. Another wonderful slow cooker recipe that will make your life a little bit easier on game day. Just pop all the ingredients in and you’re good to go! Your guests are going to love these meatballs covered in a sweet BBQ sauce. Chips are a necessity for any game day, therefore you have to have some kind of dip to go with them. This 50 Yard Line Guacamole Dip meets the requirements for a fun football party side! Pair with your favorite tortilla chips and watch it disappear. A perfect appetizer or finger food for any game day party! Top these potato skins with whatever you’d like such as bacon, ham, or maybe even olives. Whether you go with a more traditional taste or put some new flavors in, these are sure to be a hit. These pork ribs with a spicy mango habanero sauce bring a fun twist on a traditional game day food to the table. This dish is definitely for those that love a good spicy meal, since the sauce on these is a good combination of sweet and spicy. Though ribs might seem like a big task for a game day, these are simple and you’ll be snacking on them in no time. Burgers are a great food for game day—easy to eat and easy to make! This burger is full of cheese, not only on top, but also in the middle. Try making these burgers into sliders for your game day! Why not put the chips and dip right on top of your burger? This meal combines the classic game day foods all in one. With crunchy tortilla strips, creamy guacamole, and a juicy burger, you can’t go wrong with this dish. This combines the burger right into the chips and dip for a fun and delicious twist! This creamy dip is full of beef and bacon, making it hearty too. This should definitely be on the table during your next game day. 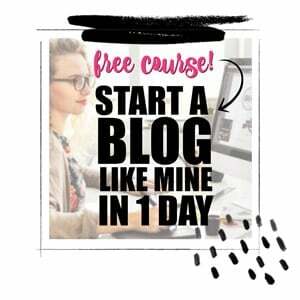 With only three ingredients, I’m not sure it could be much easier! It’s easy and fast to make these, so they’ll be on your guest’s plates in no time once you get started. These are perfect for a game day party or just a family dinner. The pickle in the middle of these has the perfect crunch-factor for a game day snack! Covered in white bread and a deliciously seasoned cream cheese, these pickles will fly right off the plate. Add some salami into the mix for a delicious twist! Coleslaw is a great side for picnics, backyard barbecues, and of course, game days. It goes along with whatever you may be cooking that day. This version of coleslaw makes creating the versatile side even easier with no cooking and no mayo. That means easy prep for your game day festivities! Give your football friends a variety of homemade dips for their chips! Each of these dips is delicious and a perfecting pairing for tortilla chips. Make all three and see which is the most popular at your party! These festive foods are ready to grace your game day table. From football cupcakes to a field of dipping sauces, no one will have to guess what you’re trying to go for. Add in your favorite team’s colors or logo for a little personalization! Stuffed mushrooms are a perfect party finger food! 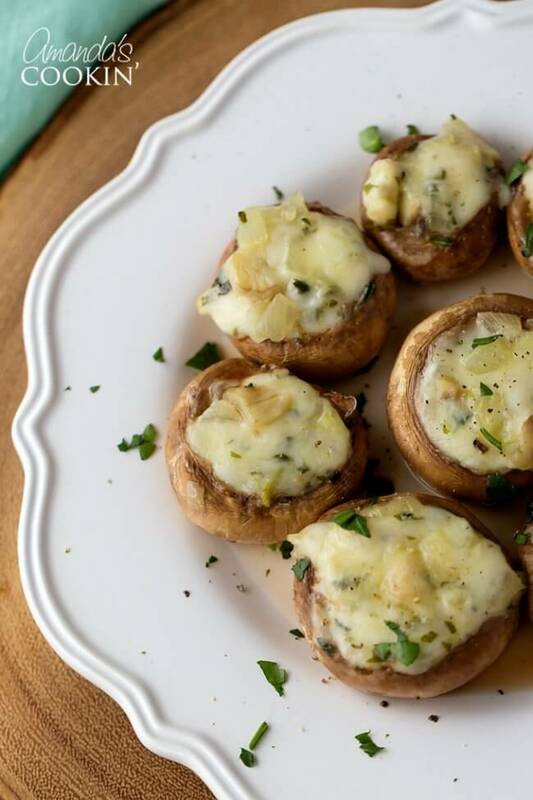 These mushrooms are loaded with two kinds of cheese and a variety of seasonings. This recipe will have your game day gathering feeling just a little bit fancy. Throwing a football watching party? Check out these great ideas to throw an awesome party! You’ll love these easy fried pickles!